The architecture and design focus on puristic elegance, creating a symphony of light, warmth, sound and energy. Total area: 800m². Finnish sauna, SANARIUM®, herbal bath, steam bath, shower area, heated bench with thermal foot basin, ice fountain, relaxation rooms. Saltwater pool with fountain and underwater massage nozzles. Treatment rooms with SYMPHONY SPA bath and SANOTHERM soft pack bed. 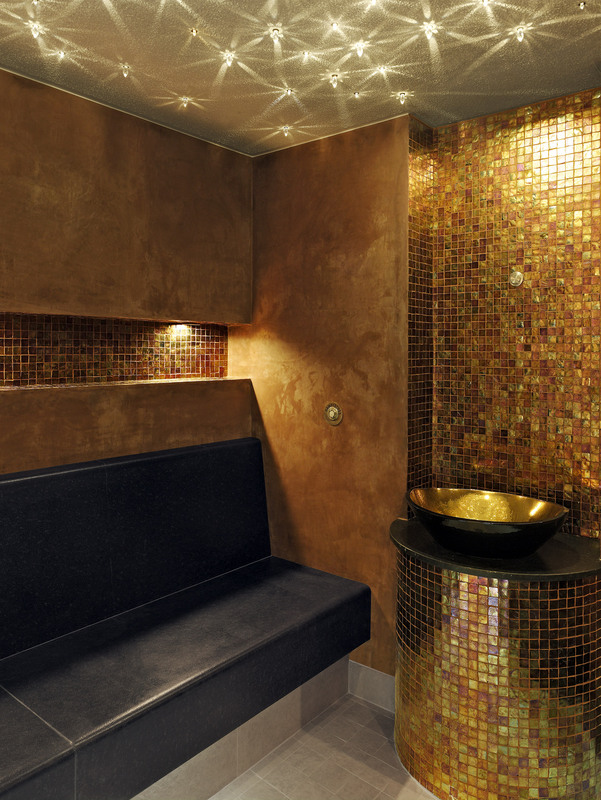 Light earthy colours and natural shades have been deployed in the sauna area, creating a friendly, stylish atmosphere. 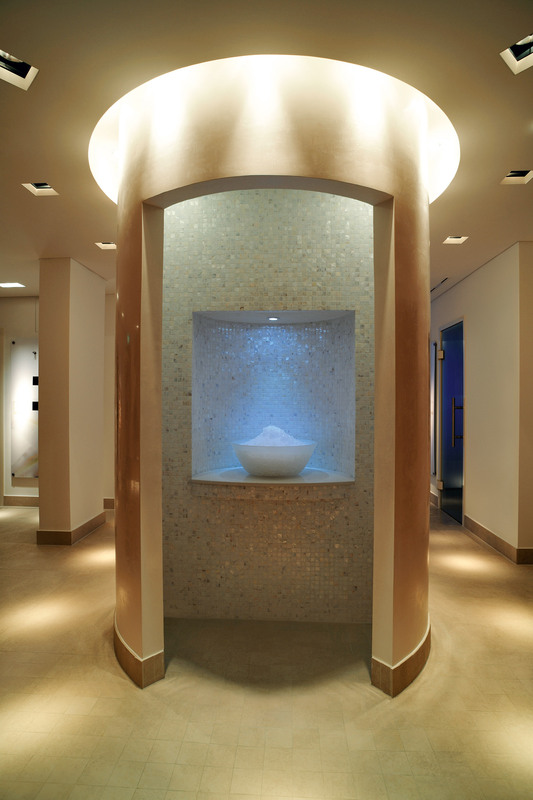 Various exclusive highlights add the finishing touches to the charm of this spa: a NIGHT SKY with Swarovski crystals, a shower area tiled with shell mosaic tiles and featuring a tropical rain wall and waterfall, and an ice tower with an illuminated glass dish.